How many IIM graduates can claim to be a country head of a company, 2.5 years after graduation? And we are not talking about just another start up. We are talking about Zomato which has started influencing eating out habits of young people in many big cities in the country. 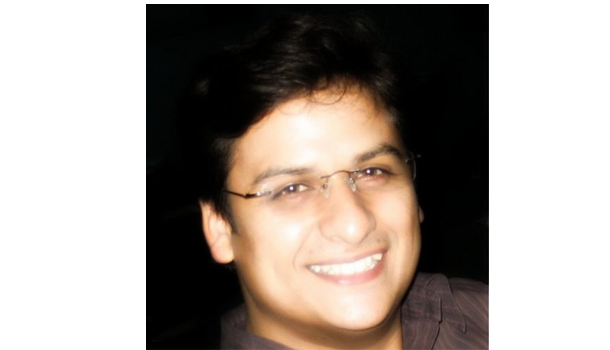 Saurabh Sengupta is an IIM Indore alumnus (Class of 2010) and an IIT Delhi alumnus (Class of 2004). He worked for Aon Hewitt after graduating from IIM Indore for a short while before deciding to take a risk and join his friend Deepinder and his team in what was earlier called ‘Foodie Bay’ (now renamed to Zomato). He is Country Head (India) at Zomato. You can ask questions below in the Comments section and we will get Saurabh to respond. On his last 2 years, taking the plunge and convincing his family…. In the first 6 months of my consulting job I realized I was not cut out for this and was looking for a change. So a friend of mine, Deepinder, called up and said ‘’ I am starting something really exciting, would you like to join?’’ And what I did at that point of time, took a huge risk personally and professionally and joined what was then called FoodieBay which is now called Zomato. Since then growing from a fresh pass out from an IIM right up to a stage where you are in a leadership position in an organization is been quite an interesting journey. It took me around only 15 mins to convince my wife. She was the only one who required a bit of convincing because at the end of the day it’s a joint decision and whatever I do in terms of my career is going to affect her eventually. But then the answer was easy I wanted to do something that I enjoy doing. A start-up requires long hours and a lot of unconventional measures and it is not easy. But I was sure she would understand that it was about my happiness, about what would excite me at the end of the day. If people around you care for you and understand you, they will realize you will be happy doing what you like doing. And if they don’t understand, no one will understand. Its adventure as well but yes a lot of instability as you are not sure which city you will be in the next year. Especially Zomato has a very location based model as each city has its own way of doing business, it’s own foodie preferences and markets are very different. I took it in a very positive way. I am going to be knowledgeable and wiser by the time I move from a city. I have taken uncertainity as an integral part of my life. A normal day is like getting up at 7 o’clock because we start at 8.30 in our office. Very surprisingly I open my laptop and check my smart phone before brushing my teeth, which is like a litmus check on whether you are enjoying your role or not. That’s happening. So typically we start at 8.30 am and there is no end to it. Its basically when your brain stops working and your body is too tired, it’s the end of the day because you have so much to do that you can have a whole lifetime and still not be done with it. Its when my body mentally and physically switches off, when I call it a day and of course I am married so that has its own limitation. I have to go and report there at a good time. Initially when I was in Mumbai and in Pune, the role was of sales so I was in the field. There is something I firmly believe, you have to yourself, the founding team has to themselves be on the field and sell their products, otherwise its not a business. See what it feels or what it takes to sell your product and for people to buy it. And then take calls on how you will treat your product according to the market requirement. So that is what I have spent majority of my time on – Sales. And irrespective of whatever role you play, you will always, as they call in B-schools, be an HR person, you are always managing a team or you are always leading a team. So, as of now in this particular role, I do almost everything to do with our business. But to answer your question, very specifically what I find difficult is Hiring. Because its very difficult to gauge a person’s ability and attitude in a short interview lasting may be half an hour or so. Also hiring is the bet you place, I have read a lot of blogs out there on social media, there is not enough being talked about this that hiring is not a science. I wish it were because then we could have created factories. There is a judgment involved in hiring, you have to look at a lot of things apart from skill and to gauge that in a short span of time is very difficult. So place your bets there. Many a times it happens that the person might not be perfectly suited for the role or he/she may not enjoy culture of the organization, yes these things do happen. I’m not in an engineering role so IIT education does not help directly. But skill wise, there has been a nurturing and care that both IIT and IIM have given me that of course helps. I spent quality time with peers at IIT and IIM both and these are some of the brightest minds of the country that has nurtured me a lot, I have taken clues from there, learnt from them so that way it has helped. With regards to subjects, since we are into this, accounting is right up there. Irrespective of the role that you play in your organization, you need to know P/L and Balance Sheet really well. I am not saying you should know valuations but your basic accounting should be right there. One thing you should do is master technical subjects. So Economics, Law Accounting, where you deal with more facts then with judgments, so those have to be like at the right back of your hand. I still believe case study method is a better pedagogy then text book method since when I face a real time situation I think, Hey! I can fit this into XYZ grid? That’s not the thought that comes, what comes is – where have I faced this before? So case study is a nice way of approaching it. When people join Buisness schools especially IIM, whoever has this question on what IIM can give me, I think the question should be put slight differently. It should be ‘What can I gain from IIM ?’ At the end of the day, the case study preparation and the hours that you spend on case study preparation, you can do it over a tea and snacks but that’s not the issue, but not taking those case studies very seriously in class, I think one loses out on a very important that this institution is trying to give you. I have a personal view, when you work somewhere before you come for your MBA, you take your MBA that much more seriously. So subjects like marketing, if you have industrial specialists coming and telling you how they launched brands, how they conducted marketing campaign, how they managed sales force, how did they do valuation of a company, how they invested in stock markets, how do they do wealth management for example, these subjects should necessarily taught by industry experts and not by the faculty. Even HR and OB. Very important subjects which should be taught by people in companies at high positions. For e.g., you always have people coming and asking, discussing personal issues, you have a point in time where you draw the line, hey this was the point we stopped. What do you do about the ethical dilemmas that you have, but what kind of ethical dilemmas, I guess CEOs would be better to tell you that. So these are the suggestions I have. I hope someone from the IIM is listening and takes me seriously. We are a very young organization. You will find this very amusing that a lot of my team members come with droopy shoulders, and when I ask them of the problem, they come up with the relationship problems that they have in their personal problem. And I am not a relationship expert! Busines school does not teach you handle these things. So these are the things you learn on the go. So two things – Take risks and Network like crazy. Taking risks is very important. Each day I have spent after my b-school has been a risk, I take risks, huge risks on the professional front and personal front. Of course these are educated risks. I consult a lot of people but I do go ahead and take those risks. And I know a lot of people out there who are studying in IIMs or any other b-school, I would only say, if you are not enjoying something, like I talked of the litmus test getting up in the morning and go to work. So if you are not excited to go to work in the morning, you probably stuck at a place where you don’t want to be. So get out there, start exploring. When I say start exploring, meet your batch mates, meet people. Networking is the best way. We could not effect the customer preferences during the FoodieBay days because at that point of time it was like a repository of information where you could look up the restaurants and decide where you wanted to go. But over a period of time the features of rating and reviews were introduced and that’s where it started influencing people. Last 2 – 3 years, these two features have stabilized and very well reflect how the market thinks or what consumer thinks. It’s a normal perception. So now it has started affecting the consumer behavior. We measure like any other online portal would do. We track the page views. Google has a very good matrix which can show you unique visits, time spent on sites. At the city level you can slice it down on the basis of cuisines, locations, you can go to individual and see how good they work. And Google provides you an effective way to measure that. The restaurateurs play a very important role whereby not only are they measuring the page views and reviews. But the proof of the pudding is the feedback from customers, what do customers do before they come, how do they take their foodie decisions and they realized Zomato was the only portal they look up to before they come to the restaurants. So restaurants provide a very good feedback and that’s the ultimate moment of truth. Within India, every city has its own culture, eating habits are different. When you talk about Bombay, there is not just one Bombay, there are 8 Bombays. If you are around Marine Drive or Breach Candy, food search behavior and preferences are very different as compared to Vile Parle as compared to Thane. About 200 kms away there is a city Pune, where again the situation changes completely. So local culture, food habits do have a huge impact on all this. So you have to feel the pulse of the city before even you get down to doing business there which means a lot of networking with the people in that city. Zomato’s Revenue Model… Why not explore other areas apart from advertising? Advertising is the only source of revenue. We do it in a geographically targeted manner way so its perfectly scalable. The core reason for this is ‘Focus’. For any new business like ours its extremely important to focus on your core area, to see what you started with and what took you to another level is the same thing which would take you to another level or another location or geographies. And this is not philosophical, we actually stumbled and fell flat on our faces when we tried to deviate from our core areas. So when you kind off burn your figures you come back to where you were. The agenda is as you said going into couponing or online deliveries, Online deliveries is like an extension to our current business. Its not a big deal for us to turn on the switch on it any day. We haven’t done it we have written a blog post about it but a lot of limitations not only on the traffic front i.e. what volume of business it can generate, but also, on how well restaurants will be able to respond. Meet other alumni in the Industry. Click Here. A very inspirational and live post.. Thoroughly loved it ..!!! 2. Regarding nightlife – we have a concept of " Single / Couple " Entry in most of the nightclubs in India – Why can't we include it in the info ? I am also aware that the entry in most of the nightclubs in India is quite emulsified . 3. It would be a really good idea to include the kind of music played by a club , restaurant etc also in the info. 4. One last thing – When are you launching a Zomato Loyalty Card / Food Coupons etc ?? >> Which city is this? We have menus for >90% of the restaurants on an average. 2. Regarding nightlife – we have a concept of " Single / Couple " Entry in most of the nightclubs in India – Why can't we include it in the info ? I am also aware that the entry in most of the nightclubs in India is quite emulsified. >> Thanks for the feedback. Will consider including it. The challenge with this data is to keep it updated real time for specific events and days of the week. >> Tough one. DJs keep changing and so does the kind of music based on the event / occasion.